Custom and made to order liquid level float switches are what we do best! Designing a float switch for your specific application is quick and easy. Our custom multi level float switches can have up to 6 individual float positions on a single shaft. Materials of construction include stainless steel, Polypropylene, PVC, and PTFE. We stock hundreds of different threaded fittings and flanges for convenient mounting to any tank. 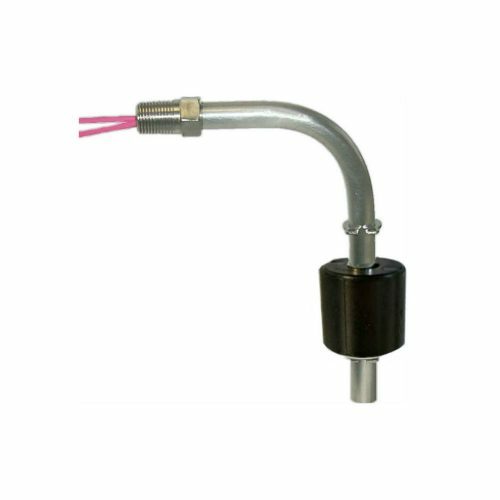 We also offer many different size cables, connectors, and wires that can be specified to any length you need which makes connecting the liquid level sensors to your existing equipment quick and easy. Our dedicated knowledgeable sales engineers have 20 years of experience in the liquid level field and are here to help. The design process is quick and easy, tell us about your application, what you are trying to accomplish, and we will send you a detailed quote and CAD drawing same or next day. Typical lead times are 10-14 business days. Call for expedited 3-5 day service options. These sensors were designed for existing customer specific applications. They are available for purchase as is or they can be further customized to meet your needs. To Begin Customizing a sensor for your application click the button below.